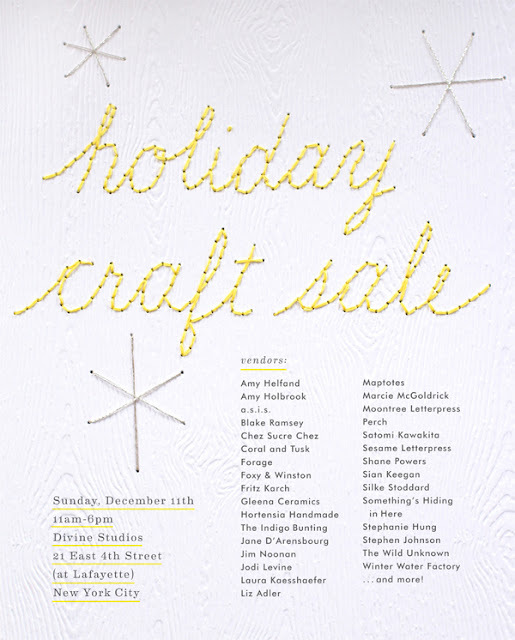 It's beginning to look a lot like...Holiday Craft Sale time!! If you are in the NYC area, this would be a fabulous event to attend and we'll be there selling our Winter Water Factory goods. Details of where/when the event will be :: Sunday, December 11 from 11 am to 6 pm. Divine Studios 21 East 4th Street (at Lafayette) NYC.